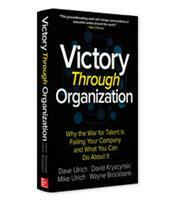 Victory Through Organization demonstrates that organizational success isn’t just about the talent you have –– it’s about how the collective organization makes the individual talent better. 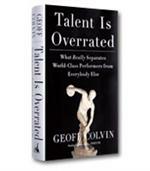 The authors offer tools that business leaders and HR professionals need to respond to emerging opportunities and advice for building HR departments to deliver measurable business value. How to upgrade your HR professionals by determining which HR competencies have the most impact on personal effectiveness, stakeholder outcomes and business results. How to recognize the key ingredients of a more effective HR department with a focus on assessing business information and offering integrated HR solutions.